JACKSONVILLE, Fla. - A grant from the federal government commits $25 million to two major projects in downtown Jacksonville. One includes a small corridor along Bay Street, where driverless cars will be used to carry people from one point to another. That project will end the Skyway as we know it. The other project is the demolition of the Hart Bridge ramp, which has been in the works since 2016. 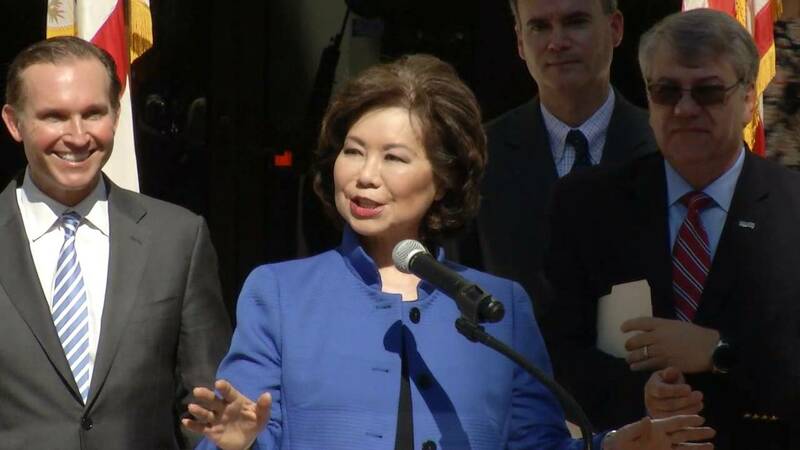 U.S. Secretary of Transportation Elaine Chao was in Jacksonville on Friday to officially announce the BUILD (Better Utilizing Investments to Leverage Development) grant recently awarded to the city and the Jacksonville Transportation Authority. From the start, the Skyway has been controversial, labeled a waste of money for just a few riders. 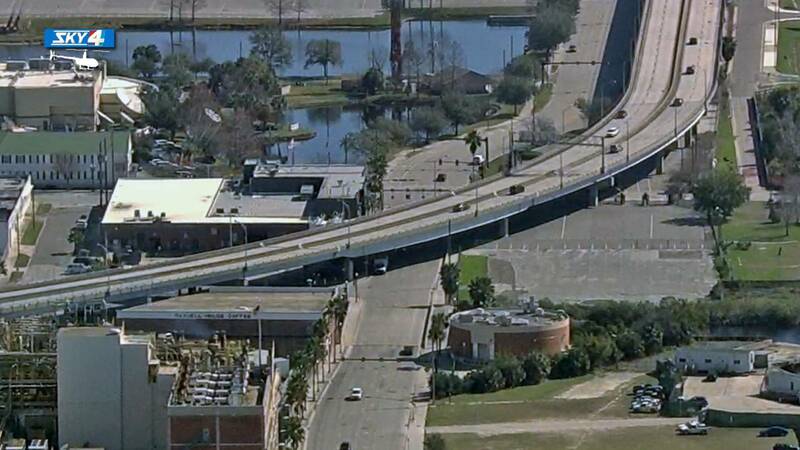 Now, as part of the Department of Transportation grant and the Bay Street Innovation Corridor project, the Skyway will become a roadway of sorts. In about three years, the Jacksonville Transportation Authority, with the help of the federal grant, will have autonomous cars driving along Bay Street. Eventually, those cars will use the old Skyway rails as roads. "With the Bay Street Innovation Corridor, eventually, a series of ramps we will be able to ramp up onto the converted Skyway and then go into San Marco to be able to go further up into Springfield, further south into Riverside by expanding the system," said JTA CEO Nat Ford. That was always the dream when the Skyway was built. But bad PR kept it from happening. "I think the Skyway stopped short of its original vision and plans," Ford said. "Why not leverage that 30-year-old investment?" JTA hopes to be able to convert the system into the roadway for those driverless cars, but there's no word yet if others, such as bicyclists or pedestrians, can use that as well. It’s in the planning phase. The real test will be its usefulness. People and businesses along Bay Street said it's about time someone pays attention to that area. "I would love to see that, especially if there were stops all along the way," said business owner John Ream. "Pedestrian traffic and getting more people on the sidewalk, hopping in the card and riding them down to catch a ball, going to a show at the arena and riding them back along the Bay Street and visiting some of the entertainment districts." Part of the federal grant is $12 million to help pay to take down the Hart Bridge ramp running between TIAA Bank Fiend and Metro Par. That project is designed to help the development of the long-vacant Shipyards property planned by Jaguars owner Shad Khan. The secretary of transportation also said Friday that a portion of the grant money being allocated will go toward increasing internet access for people who live in that area, tying it into part of the smart corridor in Jacksonville. The city hopes to begin work on the ramp next year and have it completed by 2021. City leaders have said these changes are exactly what's needed to make driving easier and better in the downtown area.